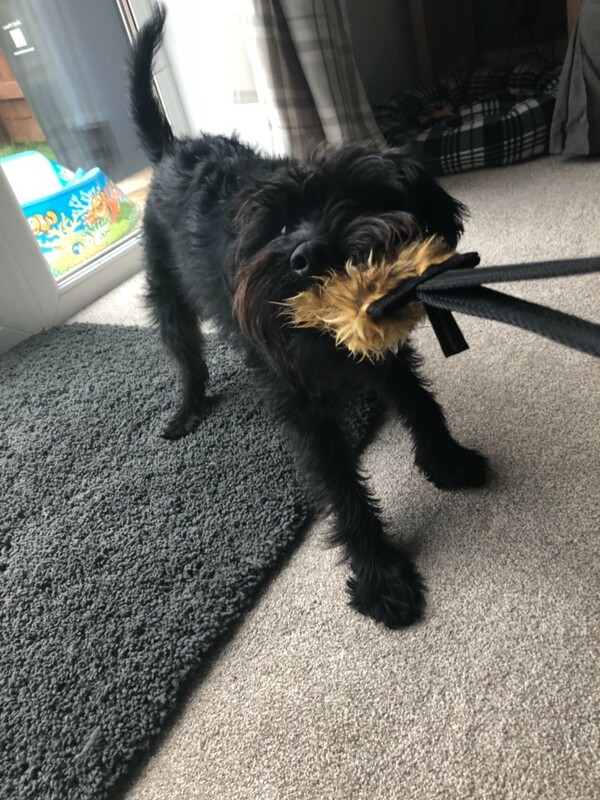 This versatile toy has the added benefit of a squeaker, providing that little bit of extra encouragement to dogs who need it. 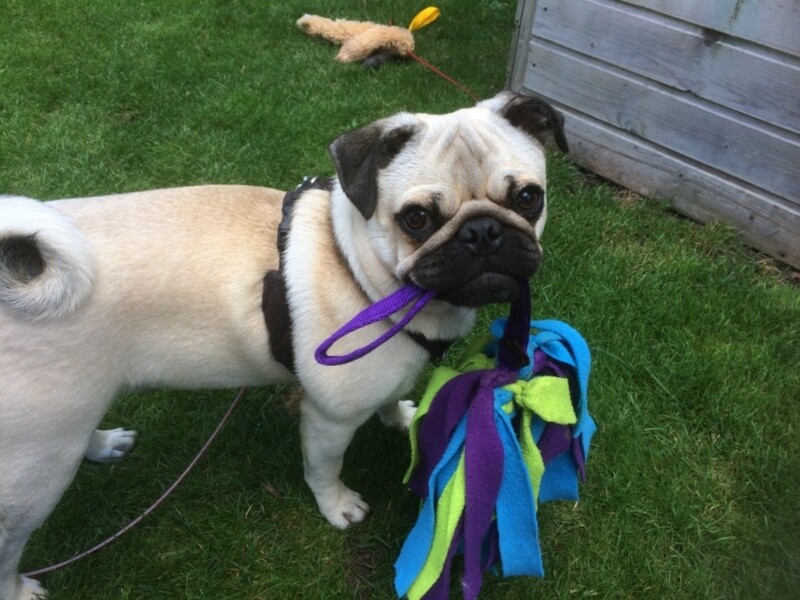 Strong, durable and comfortable to hold, it's small enough to pop in a pocket, but big enough that your dog can enjoy a good tug on the bite area. 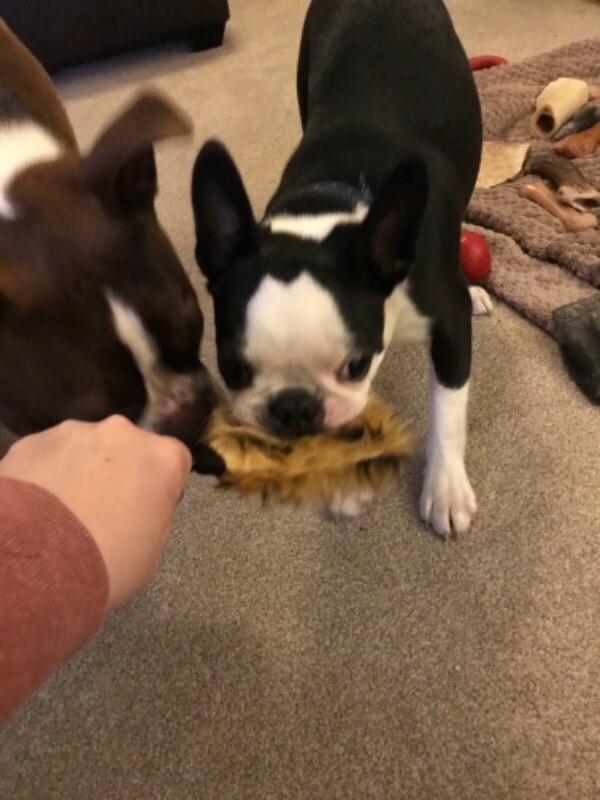 Faux fur provides a soft area for your dog to tug while also being super durable, and the robust cushioned handle makes it comfortable for you to hold during a game. This toy measures approximately 30cm from the tip of the handle to the end of the bite area. The bite area itself is 8cm by 12.5cm. Sizes are approximate and may vary slightly. Rocket loves tuggy toys and squeakers so I knew this would be perfect for him. 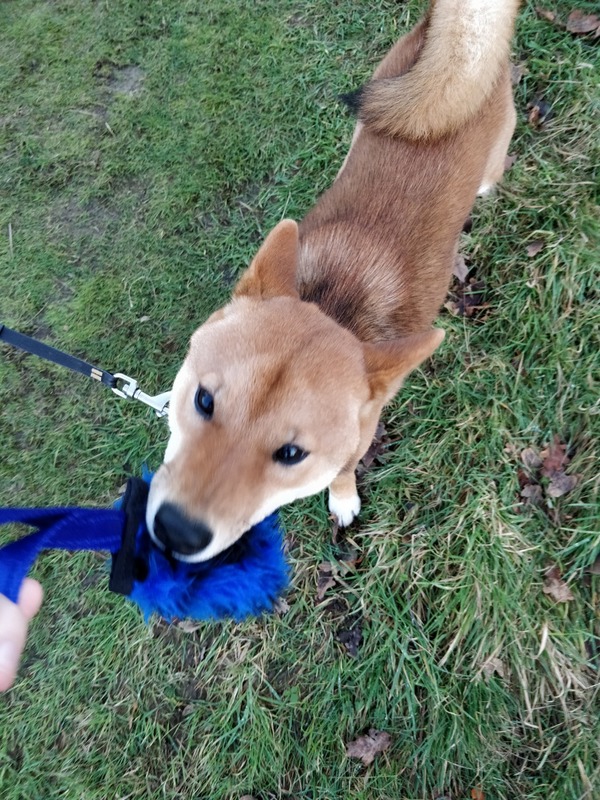 He gets very distracted by other dogs on walks (so much so we often can't have him off-lead), so I've been using this as a recall toy and to keep his attention on me. So far, so good! 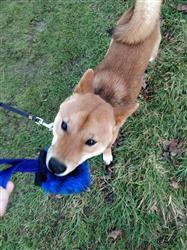 My Goldie puppy loves the squeak and it became literally invaluable as a tool to get her to walk when she was little. She was completely disinterested in treats when out and would lie down and not budge! But when the squeak came out, suddenly she’s at my side! Fits perfectly in my pocket and comes out when I need it most. 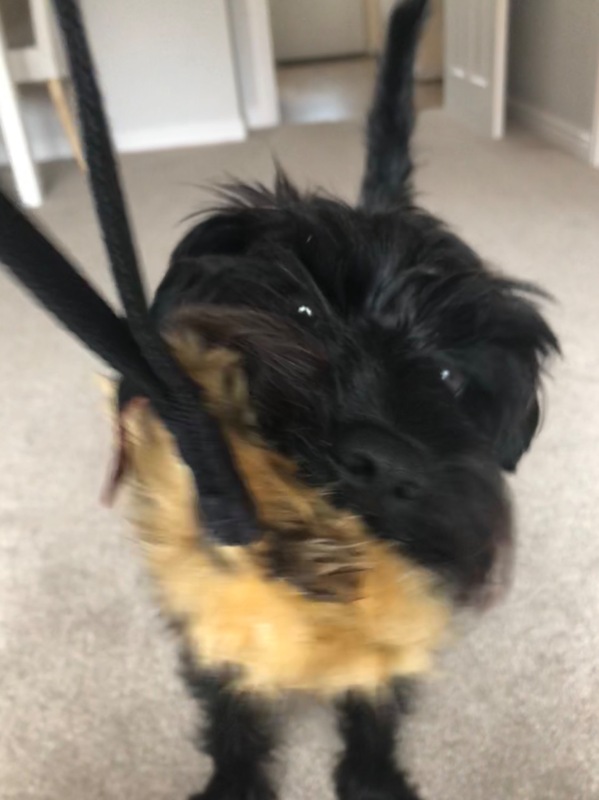 She won’t carry a stick but she loves to carry her squeak and this is our second one as I’m terrified of losing it! My one wish is that it came in a bigger bite size as she is growing rapidly!